Here to provide services for families to ensure their well being, health and development, and self-sufficiency. Supplemental Nutrition Assistance Program provides monthly benefits that help low-income households buy the food they need for good health. If you face food insecurity please apply for SNAP. We are here to help put food on your table. The Emergency Food Assistance Program (TEFAP) is a federal program which helps supplement the diets of low-income families by providing them with emergency food and nutrition assistance at no cost. Under TEFAP, commodity foods are made available to states by the United States Department of Agriculture (USDA). Mississippi provides the food to local food banks which distribute the items to approved food pantries, soup kitchens and homeless shelters across the State. For more information about TEFAP or to locate a food pantry, soup kitchen or homeless shelter near you, visit the Mississippi Food Network website. The TANF Program provides benefits for families with needy children under age 18. The TANF Program is designed to help needy families achieve self-sufficiency through employment and training activities provided by the TANF Work Program (TWP). TANF supportive services such as assistance with child care and transportation expenses are available to help the adults in the family prepare for employment and to promote self-sufficiency. TANF, commonly known as welfare, is the monthly cash assistance program for poor families with children under age 18. TANF benefits are made for children and their needy caretaker relatives who do not have enough income or resources to meet their everyday needs by state program standards. The goal of TANF is to end the dependence on public assistance by preparing you for a job by helping you with job readiness training, job skills training, vocational training, other educational training programs and assisting you in finding and keeping a job. Cooperation with Child Support is a requirement of receiving TANF benefits. Cooperation with the TANF Work Program (TWP) is a requirement of receiving TANF unless the adult in the family meets an exemption. Compliance with up-front job search activities is a requirement for TANF application approval. TANF benefits and TANF Work Program Supportive Service payments are issued to a Mississippi Debit MasterCard® Card. Paper checks are not issued.  Families First For Mississippi is expanding its core services to incorporate additional components. These components are designed to stimulate employment, support family financial stability, promote literacy, and increase graduation rates while continuing to support positive youth development, promoting positive father involvement as well as supporting Department of Human Services County Offices through parenting education and parenting skills development.